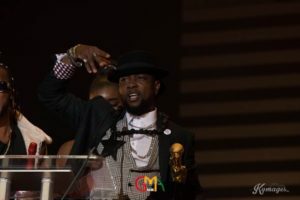 Ras King Bobo Honored With Outstanding Achievement In Music at this years panache Awards in London. 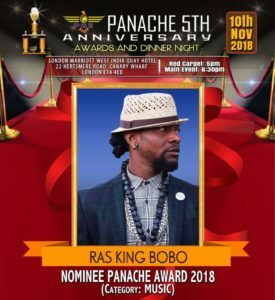 Ras King Bobo 1, UK-based musician and dancer, popularly known for his hit song ”If You No Get Money” has claimed an international award on Saturday 10th November. Ras received Panache Outstanding Achievement In Music for his excellent service in music. This award follows a recent one chalked at the just ended Ghana Music UK. "God did it again! UK awarded me tonight for Outstanding achievement in music. Thank you Panache Global UK for this award,I'm truly honoured" - he said whiles receiving his award. He is an accomplished singer and has composed several Afrobeat, Reggae Dancehall and other upbeat African dance music on two albums. He blends his music and dance to ensure an electrifying live performance. An experienced acrobatics and dance teacher, Bobo brings a sense of fun and encouragement to all his classes of music. He teaches a range of activities such as street dance, acrobatics, pan spinning and African drumming. 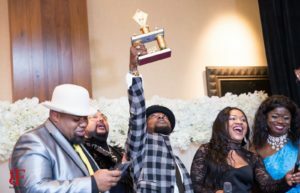 Panache Global Entertainment Awards UK (PGE), is an awards scheme which ought to celebrate the very hardworking entertainment personalities across the globe. 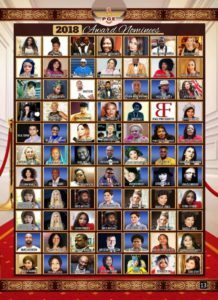 The 5th anniversary of the award scheme and dinner night came off at the Marriott Hotel Canary Wharf on November 10, 2018 , many top celebritys attending the event Including top international Actor Danny Eskine, the CEO of Danny Promotional Media and CO Founder of NELAS Awards.